On my first date with my now husband, he told me that his favorite food in the whole wide world (which is saying something because he is a big foodie) is sushi. Since that date, we go out for sushi at least once a week so we know a thing or two about the Utah Valley sushi scene. 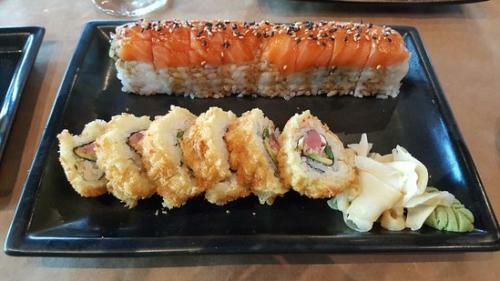 Today, I want to share with you guys my favorite sushi spots in Utah Valley. Wild Ginger is my go-to place for Chinese food, but they happen to have a good selection of sushi too. 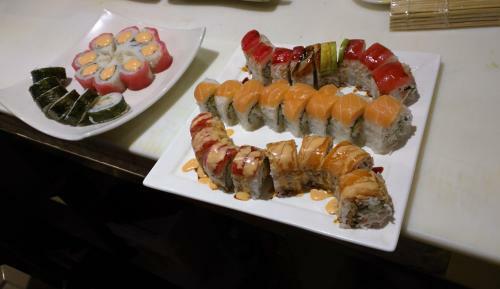 Wild Ginger makes it on the best sushi list because its all-you-can-eat sushi includes appetizers. Not only can you gorge yourself on loads of sushi, you can order spring rolls, seaweed salad, and pot stickers to mix it up. And when you have an unhealthy obsession with dumplings, that’s a good thing. Check out their Facebook page for a coupon for their all-you-can-eat sushi. Sushi Ya is the place to go if you want to stuff yourself sick with sushi. There are a LOT of rolls to choose from. My favorites are the CK Special and the Rocky Mountain. It is very filling but the sushi has too much rice and sauce for my taste. All you can eat is $15 for lunch and $20 for dinner. Happy Sumo is my pick for a romantic sushi night. With a modern intimate interior, this restaurant screams date night. It’s a pricier restaurant but worth it for the ambience. 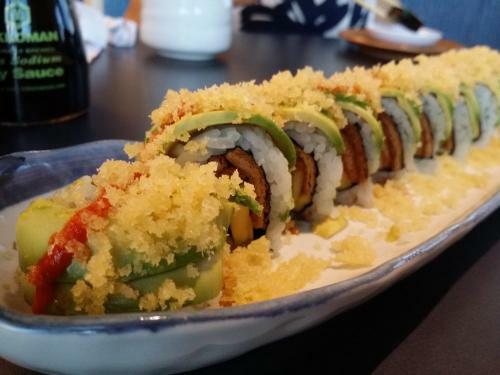 They also have some fun sushi rolls like the Bacon Crunch Roll (because who doesn’t love bacon?!). This is my husband’s favorite all-you-can-eat restaurant for lunch. For $14, you can eat all the sushi you want plus appetizers like pot stickers. Although the sushi isn&apos;t has flavorful as the next three restaurants, the price and the selection puts Tepanyaki in 4th place. To be honest, it&apos;s been awhile since I&apos;ve been to Sakura but we really loved it. But I don&apos;t remember why...oops! Don&apos;t worry, we are planning another visit and will update this post with the results. This newcomer serves a mix of Japanese and Mongolian cuisine. 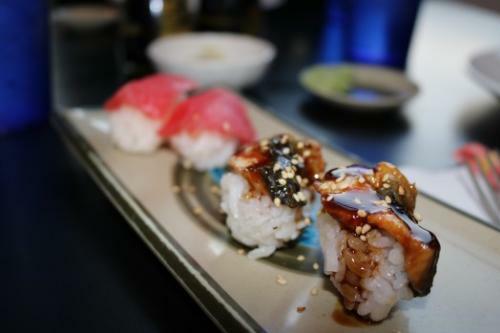 The sushi prices are reasonable and the sushi itself is flavorful and delicious. They also serve sushi burritos which are perfect for sushi on the go. The copacabana burrito is my favorite. What really stood out to us was the quality of their seaweed. It is firm but not tough and it isn&apos;t fishy or too salty. Tsunami is our favorite sushi place hands down. 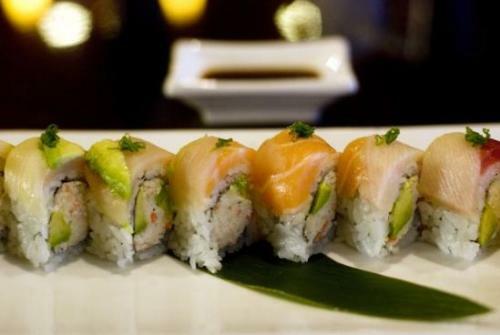 From the ambiance to the sushi itself, everything is impeccable. 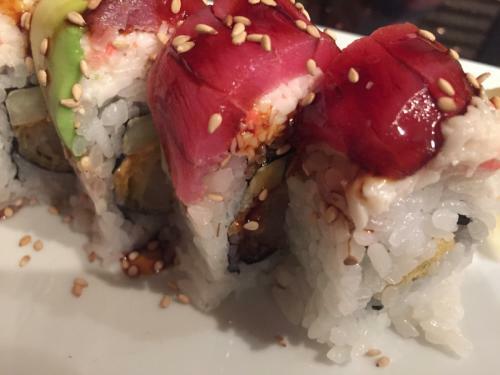 Biting into a piece of Tsunami sushi is like experiencing a symphony of flavors. For example, the Executive Suite Roll teases your taste buds with hints of cilantro and lime before building up to the spicy habanero finish. 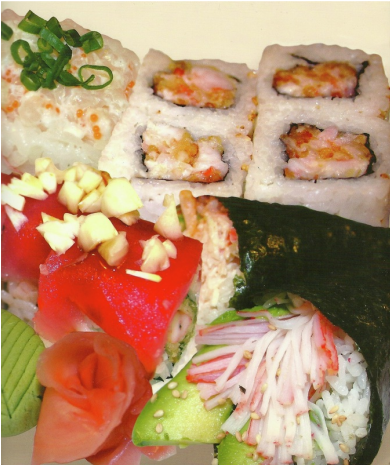 They also serve vegetarian sushi that&apos;s perfect for the vegetarian, pregnant or don&apos;t-like-fish eater. It&apos;s an intellectual sushi experience that keeps us coming back for more. Sarah has a passion for travel. She believes everyone can have the travel spirit, whether they are at home or in Thailand! Come explore Utah County with her!